Here are some facts about Thomas Cromwell. Thomas Cromwell was an English statesman and lawyer, who also served Henry VIII’s chief minister for 8 years. Cromwell was born in about 1485 in Putney, London. His father was a blacksmith by trade, but he also owned a brewery and traded as a cloth merchant. 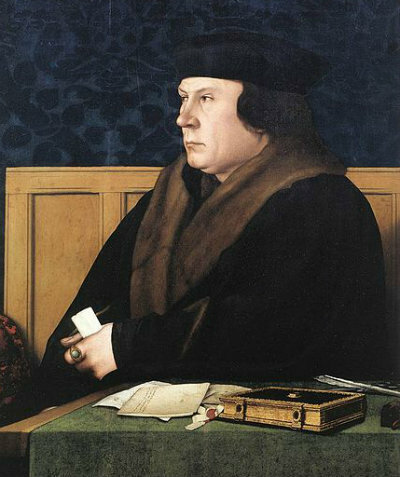 Thomas Cromwell spent much of his early life abroad. At various times he was a merchant in Belgium, a soldier in Italy and worked in an office in the Netherlands. Thomas Cromwell became a Member of Parliament in 1523, and in 1524, he worked for Thomas Wolsey, Henry VIII’s chief adviser at the time. By the early 1530s, Thomas Cromwell had become one of Henry VIII’s most important adviser. Cromwell was one of the biggest driving forces behind the English Reformation, establishing the King as the head of the Church in England. Cromwell was given several positions between 1532 and 1536, making him one of the most influential men in England. He was Lord Privy Seal, Master of the King’s Jewels and Principal Secretary. However, Cromwell’s popularity with the King did not last long, because of Henry’s failed marriage to Anne of Cleves, which Cromwell had endorsed. Cromwell was beheaded on 28th July 1540, the day of Henry VIII’s marriage to Catherine Howard. Cromwell was executed on Tower Hill (just outside the Tower of London) and his head was displayed on a spike on London Bridge. It is believed that Henry VIII regretted the execution of Thomas Cromwell. The famous artist Hans Holbein the Younger painted a portrait of Thomas Cromwell, which is today in the Frick Collection in New York. Thomas Cromwell has been portrayed in several movies and television programs, usually as an evil and villainous character. He is also commemorated with a plaque at the Tower of London near the spot where he was killed. What next? Learn more facts about the Tudors by visiting out Tudor resources page.